Today's mani is Illamasqua's Nail Varnish in Lament. 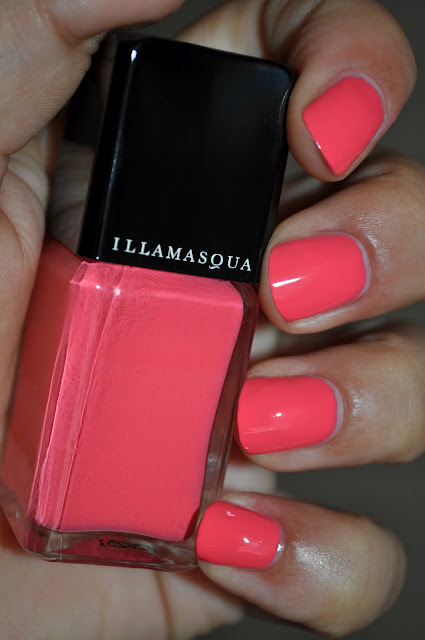 Lament is a bright, watermelon-coral with a glossy creme finish. 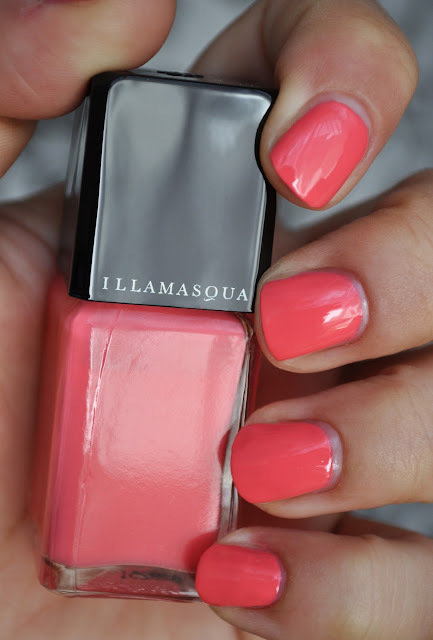 Lament nail lacquer retails for £13.50/ $14.00 (0.5 FL OZ/15 ml) and available at Illamasqua.com and Sephora.com. I am so in love with this color!! Gorgeous! Love the gorgeous pink! What a lovely shade.